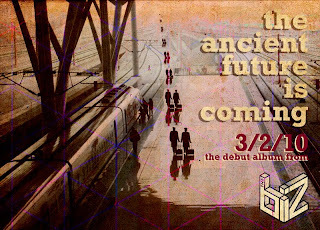 The Ancient Future is coming! But until then you can read my tales from the ancient future on my blog metasynchronicity.blogspot.com I will periodically be publishing stories about people who are living in or near the ancient future. Characters include Pete Longhorn, Emmanuel Maxwell and Johann Phillip Reis who are caught in the tangled web of time manipulation brought on by Bell Labs of the ancient future, Faraday Maissilo, the geologist who has found a gap in the layers of the earth, and others that have yet to be revealed.